A couple of weeks of illness in combination with one of my busiest months means lots of time parked on the sofa in the evening watching TV (and not much energy for blogging!). There has been one very positive thing that has come out of my down time in the evening....the discovery of a great new show called Design Inc, which I read about on Design Smack. 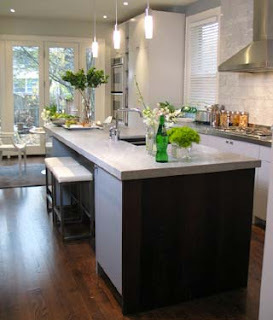 Design Inc. features the team from design firm Sarah Richardson Interiors. Each episode follows every step of a design project from the initial client meeting to the finished product, and everything in between. 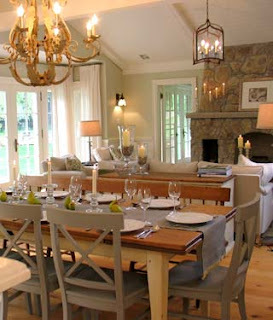 It is truly fascinating for someone like me who loves interior design, but is not a designer. 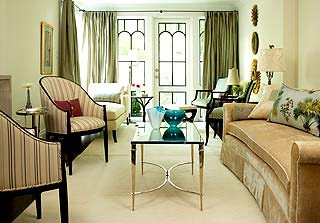 Image courtesy of Design Inc.
Sarah Richardson describes her style as "modern in approach and classic in inspiration". 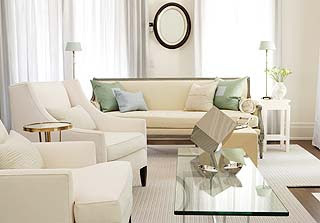 The results are impeccable - calm, clean and unfussy, yet luxurious and beautifully crafted. Her style appeals to the side of me that loves transitional style, and although Richardson tailors all of the projects to her clients' personal style and taste, I love everything that I have seen of her team's work so far. It is fascinating to see the inside details of an interior design job, both the good and the bad. Design Inc. is shown on HGTV Canada, and the Fine Living channel in the US (I did not even know I had this channel, but fortunately TiVo knew!). Great design minds " th-inc" alike! 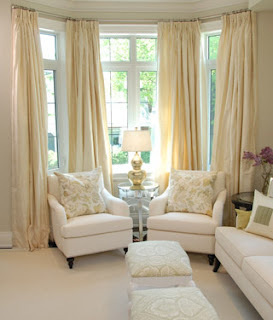 Wonderful post, inspiring rooms! Great post on the fabulous Canadian Sarah Richardson! Oh I'm glad you're getting this show now. Sarah is a HGTV Canada veteran. I'm especially fond of her partner in crime. You should look out for "Sarah's House" too - she bought, renovated and decorated a Toronto house head to toe. Going to see her speak next Sunday , I am so excited, I have been watching her for 10 yrs now, wonderful. sarah richardson is fantastic - I've been a fan of hers for many years. She used to have a show called 'Room Service' which was slightly more attainable in its decorating scheme - and she did DIY projects on the. She also has a show called 'Sarah's House'. She bought the crummiest house on the block of a fantastic neighbourhood and renovated it into a million plus house. 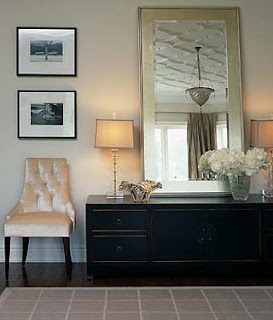 Each episode focuses on one room of the house - I think you can probably check out HGTV.ca to see photos - it's great. I absolutely love her style. I also love the philosophy and approach of her firm...doing the whole room from from head to toe, including accessories and flowers. If I lived in Toronto, I would hire her in a heartbeat (I didn't know she was in Toronto). I need to look into 'Sarah's House', even if it is just pictures! I'm a huge fan of Sarah R. She is going to be at the Interior Design Show in Toronto as one of four designers creating a 730 sq. ft concept space. I wish I could go this year! Didn't know - off to check my tivo now. 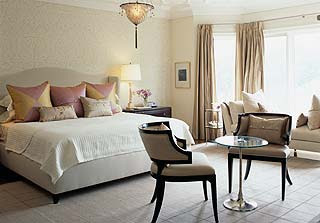 These rooms are so pretty - and I mean that in every positive sense of the word. I really love the cottage-y pic (the second one) and the last bedroom pic - I haven't seen those episodes. Great post! It's interesting to see not only the variations of her designs, but also how much she does have a certain running theme/style for every room she puts together. Just found your blog and HAD to comment....I am piecing together a post on my new favorite HGTV show, but I think within the past few years this show was on HGTV. I miss it now...thanks for reminding about it. Her room are so clean, calm and uncluttered. I imagine one can really relax in surroundings so stress-free. I'm completely unfamiliar with this show, but obviously I need to check it out!! This is my new favorite show! Ive started to tivo it but it seems the same 3 episodes are on a loop. I need more episodes. I love Sarah Richardson. I am so happy because I changed my cable provider, and I can watch her show again. Well, it's 2008 and Mrs. E. and I finally took the plunge -- we have cable. Now I'll have to find this show, thanks for the direction. Design Inc. is NOT a new show. A couple of years ago, it used to be aired on HGTV and it was great, just like Sarah Richardson's show "Room Service". As a designer, I was disappointed to see that her show was not exactly a hit...even though her show reflects the REAL design process and real budgets. 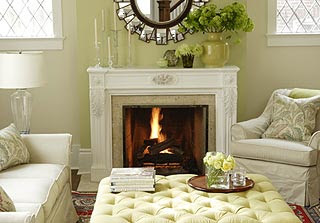 It is soooo unfortunate that shows like "Design on a Dime" and "Color Splash" rule HGTV! How sad! Just stumbled upon your blog and it is fabulous! 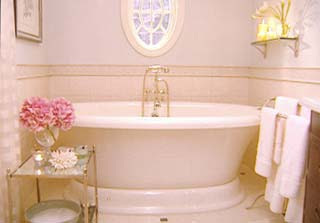 I fell in love with a bedroom Design Inc did on one of the first shows and want to mimick it in my new master bedroom. I haven't seen the show anywhere on tv and thanks to you I can now find it with my tivo too! Terrific post on Sarah. I like her in the new format, and the longer hair than her old show. The blog is looking so great! Do you recognize these rooms?